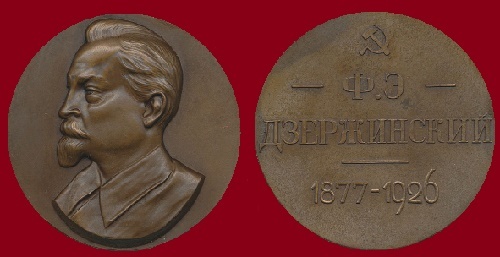 Soviet medalist Nikolay Sokolov (December 28, 1892 – April 7, 1974) – sculptor, Honored Art worker of the RSFSR, Honored Artist of the RSFSR. 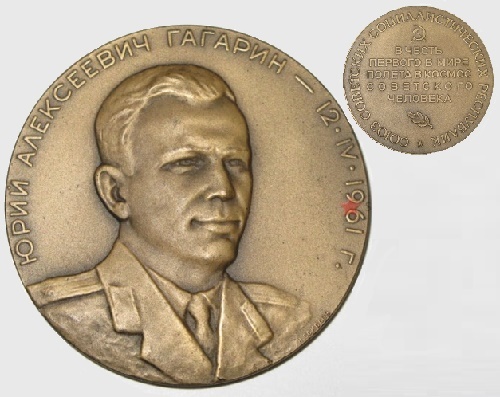 Since January 1, 1950 to June 1, 1971 – the main artist of the Leningrad Mint, author of many medals, including portraits of political and public figures of the Soviet Union. 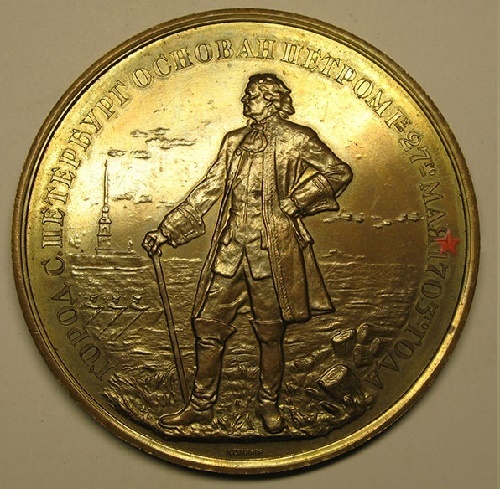 Nikolay Aleksandrovich Sokolov was born in 1892. 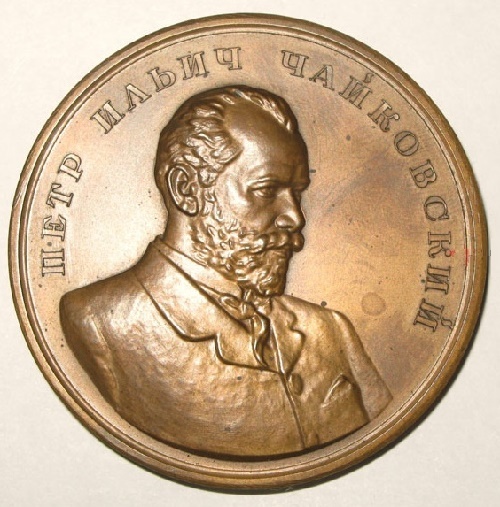 He studied at the Leningrad Institute of improvement of professional skill of art workers. 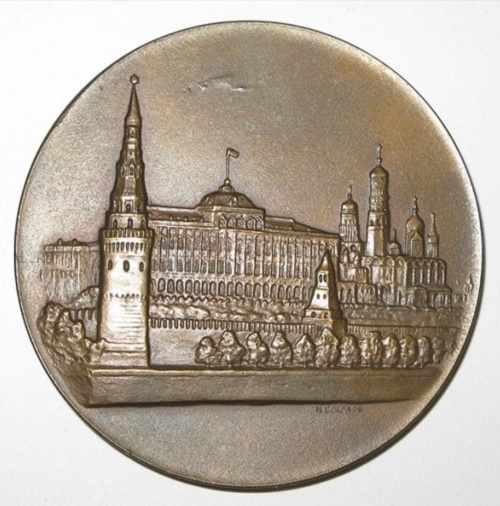 In 1925-1926 he worked at the Leningrad Mint under the direction of F. Vasyutinsky. 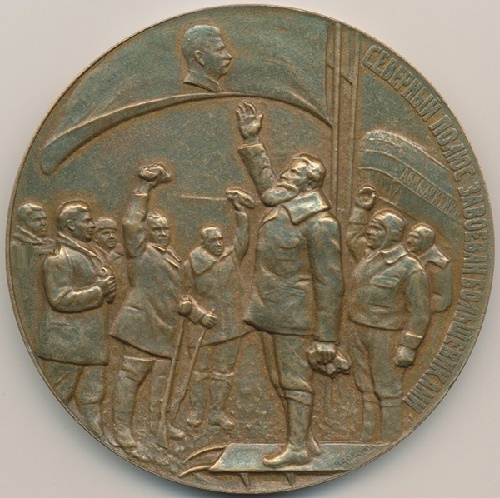 The talented sculptor-medalist, the author of numerous commemorative medals in a variety of materials, including bronze, silver, gold, Nikolai Sokolov, worked for many years on the image of the great leader Vladimir Lenin. 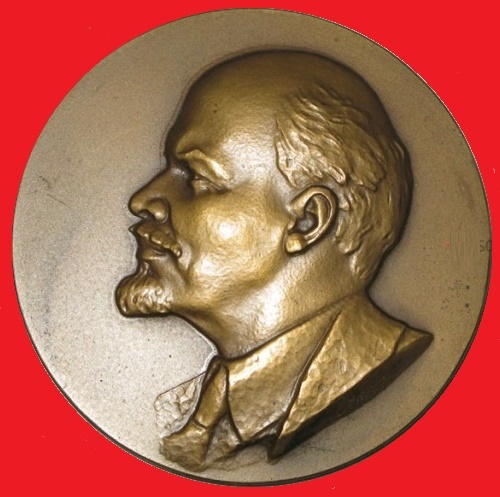 The Government appreciated the contribution of the sculptor-medalist, awarding him the Order of Lenin. 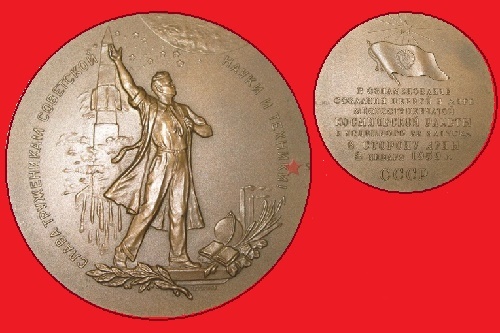 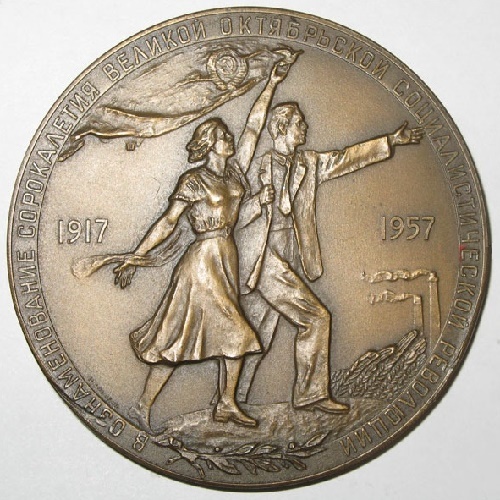 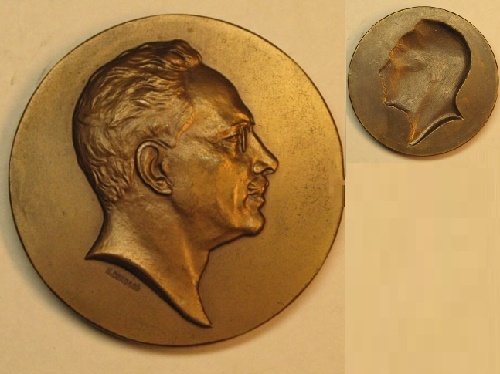 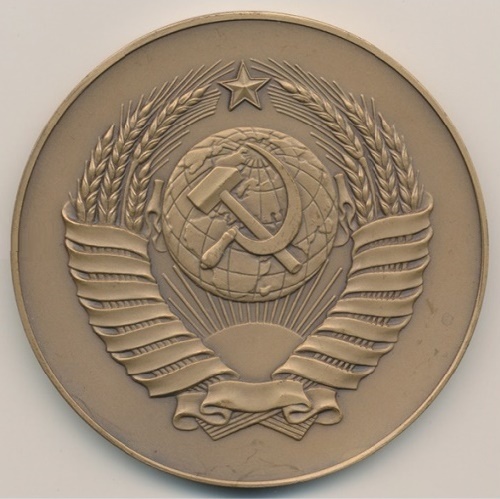 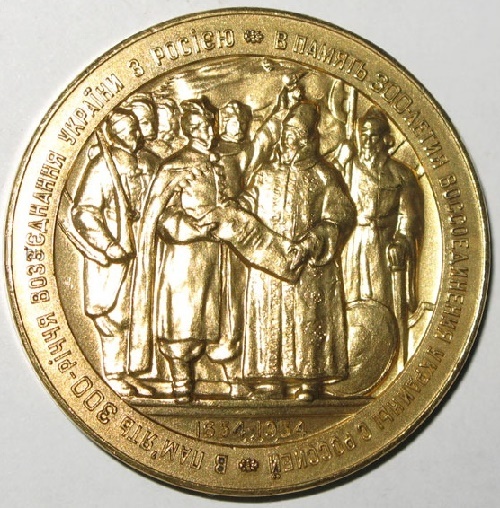 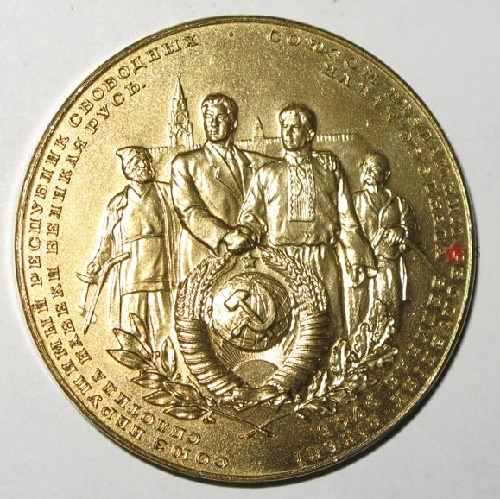 During the life of the Soviet medalist, in honor of his 70th anniversary was released Medal “NA Sokolov” (USSR, Leningrad Mint, 1962, medalist A.V.Kozlov). 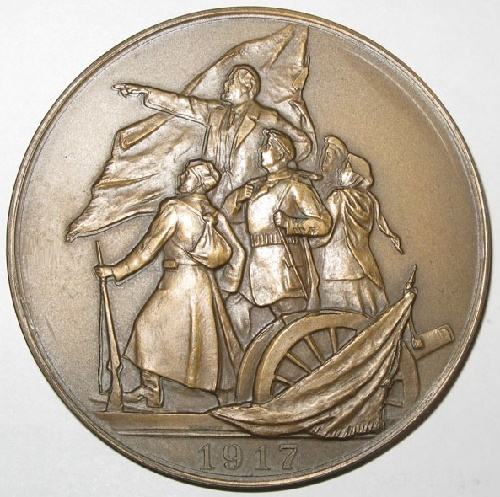 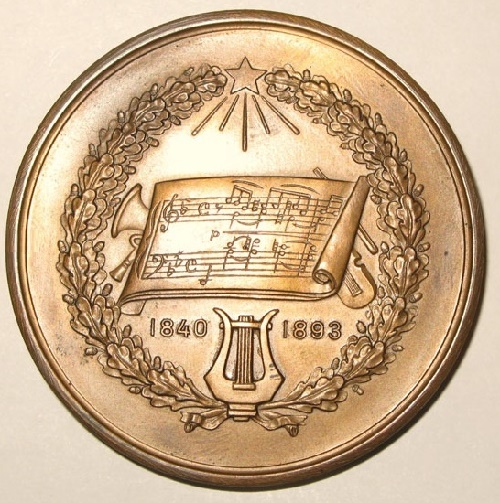 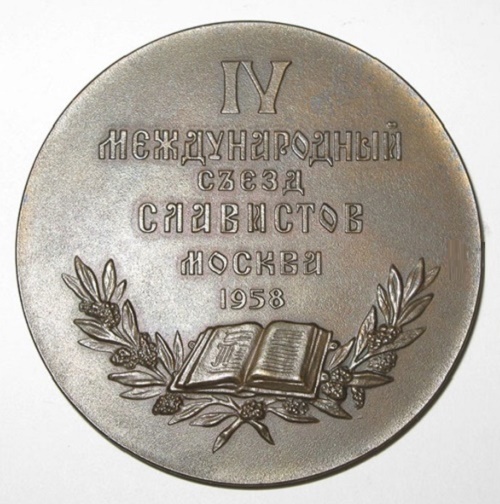 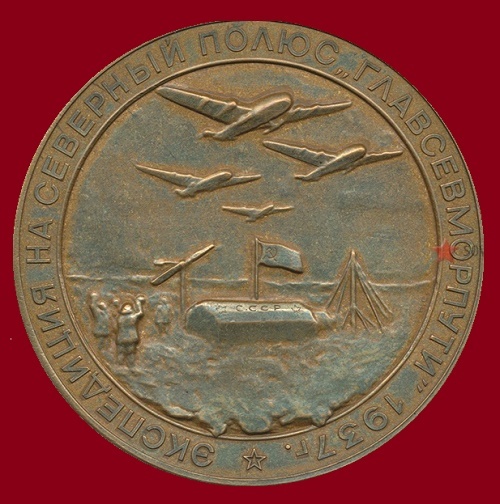 After the release of the first Soviet medals, it became clear that to maintain the best traditions of the Russian school of medal was necessary to create a special art school. 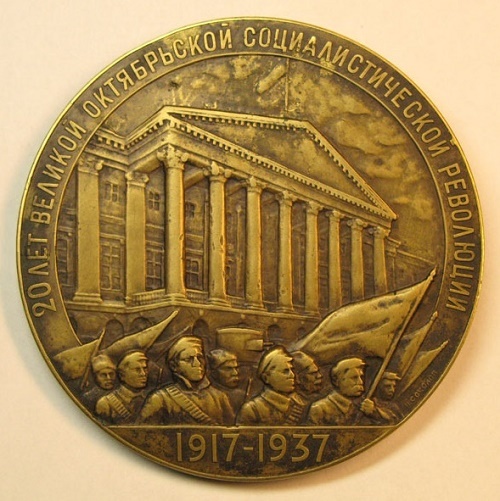 In 1925, Vasyutinsky managed to open medal direction at the sculpture department of the Academy of Fine Arts and educate a galaxy of brilliant students: Tsygankov I. 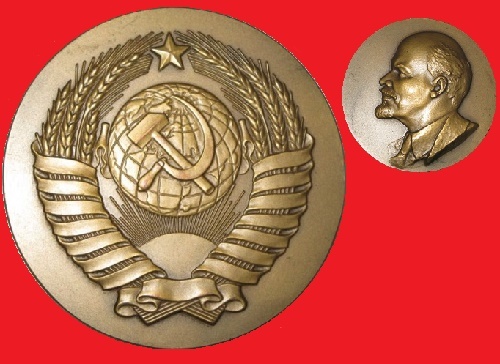 (1894 – died after 1931), VV Golenetsky (1906-1976), AV Kharitonov (1895 -1973), SL Tulchinsk (1900-1981). 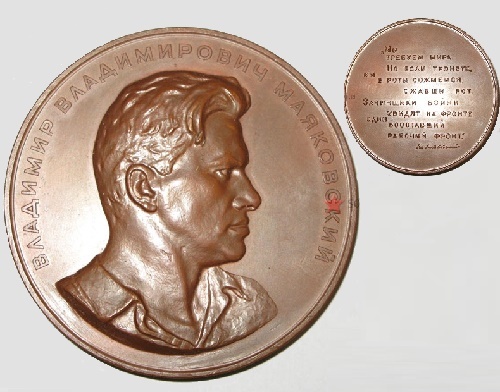 A special place among them had N. Sokolov (1892-1974), who became the link between the living traditions of pre-revolutionary generation and medalists of the 1960s. 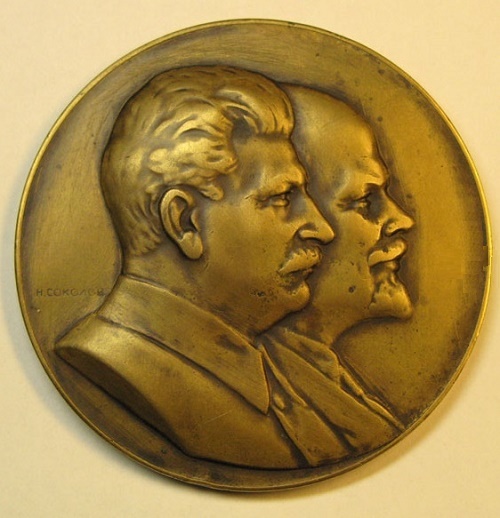 Sokolov has created a kind of chronicle of the embossing of the Soviet state and embodied in bronze portraits of outstanding figures of science, culture and art, generals and statesmen. 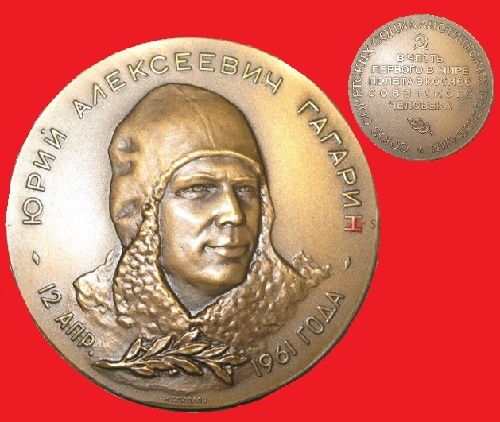 By the early 1940s he becomes a recognized medalist-portraitist, creating memorable images of Pushkin, Mayakovsky, Gorky, Rainis, Tchaikovsky, N. Chernyshevsky, N. Gogol, Michurin, L. Tolstoy, A. Mickiewicz, JB Lamarck, VG Belinsky, Fyodor Dostoevsky. 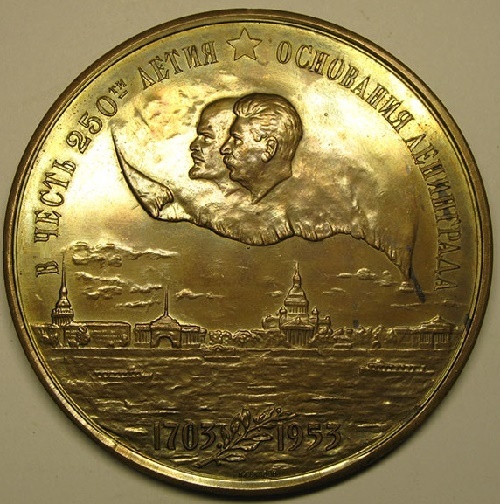 In 1950 he was appointed chief artist of the Leningrad Mint. 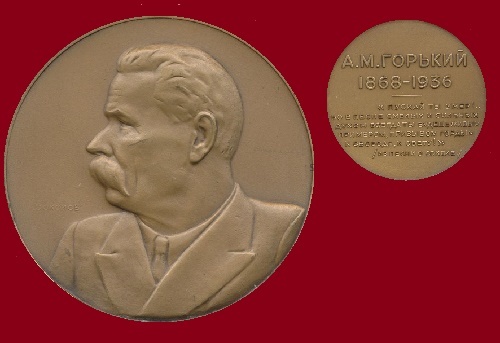 Among his pupils – known engravers and medalists AV Kozlov (1917-2000), AV Plastinin (1893-1953), VA Zasukhin (p. 1928) NN Filippov (1921-1996), the brothers LS Komshilov (p. 1933 ) and JS Komshilov (p. 1929), P. Potapov (p. 1928), RN Minigaleev (1928-1995). 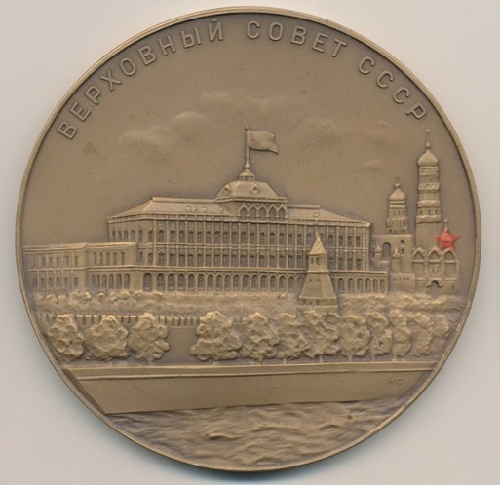 In the 1970s the main successor of the classic destinations in medal art becomes AV Kozlov, who in 1974, in connection with the retirement of Sokolov, was appointed chief artist of the Leningrad Mint.